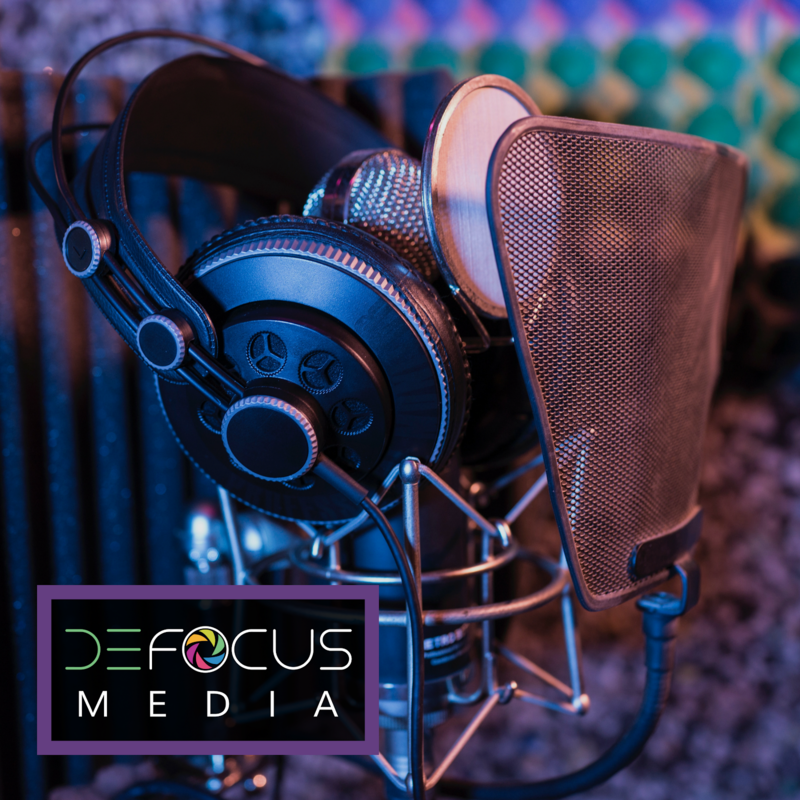 As promised, the forthcoming posts are my opus to the overwhelming topic of dry eye. The spectrum of Dry Eye Syndrome ranges from patients suffering from mild contact lens discomfort at the end of the day, to those at risk of needing a corneal graft due to the extreme damage done to their eye from dryness. Most patients fall somewhere in the middle, with dryness being severe enough to cause marked discomfort at some point during the course of their day. dryness, itching, burning, sharp pains, and watering --- Though it seems counterintuitive, watering is a response to your eye being too dry! The eye tries to protect its surface by producing emergency tears, but these tears do not have the proper components and run down the side of your face. discomfort at the computer --- Studies show we blink about half as often at the computer than we do in conversation! That's a lot of possible symptoms for one condition! The large variety of manifestations of dryness are a direct result of the fact that dryness has a large number of causes. There are tons of sub-classes of dry eye, and over the next few posts I will hit the highlights. Only a doctor can diagnose your exact etiology of dryness, but hopefully these next posts can help explain what may be causing your dryness and act as further explanation for why certain treatments are recommended. 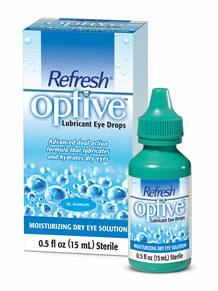 REFRESH OPTIVE, OR REFRESH SENSITIVE (preservative free!) I love the preservative free drops for people that experience stinging or irritation with other preserved OTC tears. Refresh also makes Celluvisc, which is a great product for people needing a thick drop for severe dryness. Refresh Optive and Refresh for Contact Lenses are also ok for use with contact lenses! 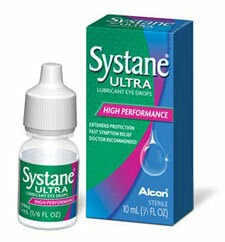 SYSTANE ULTRA Another excellent drop that is also safe with contact lenses. I have some patients that like this drop exclusively of all artificial tear products, so I highly recommend trying it if you have been disappointed with other generic brands. 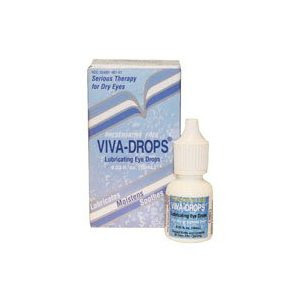 VIVA DROPS This preservative free drop also has anti-oxidants to attempt to replace some missing components of our own tears. It is made by a small company in South Dakota, and not readily available in stores, but your eyecare provider may have access to ordering this drop. Again, I have a number of patients to use this drop exclusively with reported relief! Note that I didn't list Visine up there. Little known fact outside of the medical community: Visine for Redness actually has a large rebound effect. It is a vasoconstrictor that shrinks the size of your red, dilated vessels, but after the drop has worn off, there will be a larger rebound of vessel dilation! Yep, you read that right. Your eye will look MORE red after the drop wears off than it did before you put the drop in! Not to mention, this drop doesn't treat the cause of your redness, which is inflammation from dryness or from an allergy reaction. Depending on your cause of redness, you will need a drop designed to treat either condition specifically instead of just the surface appearance!